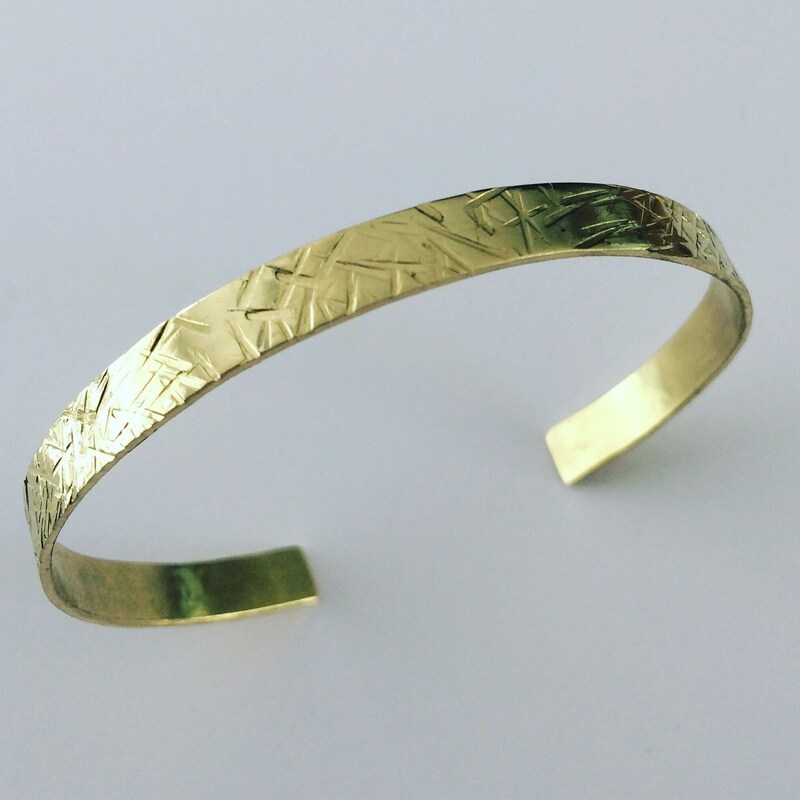 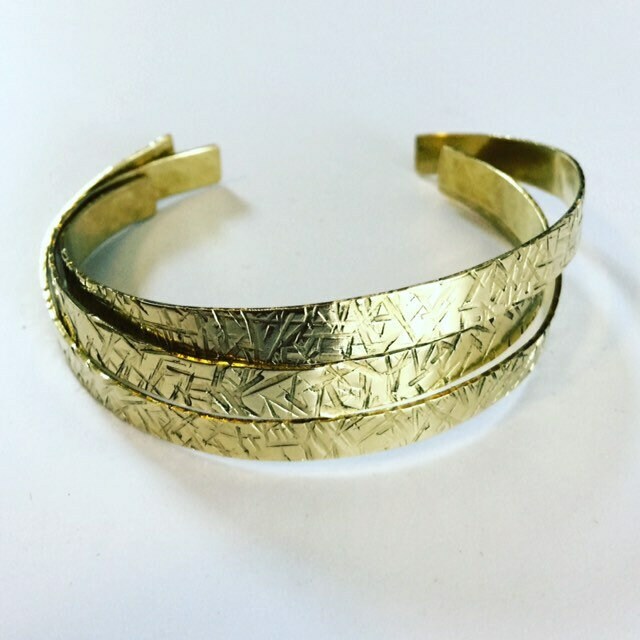 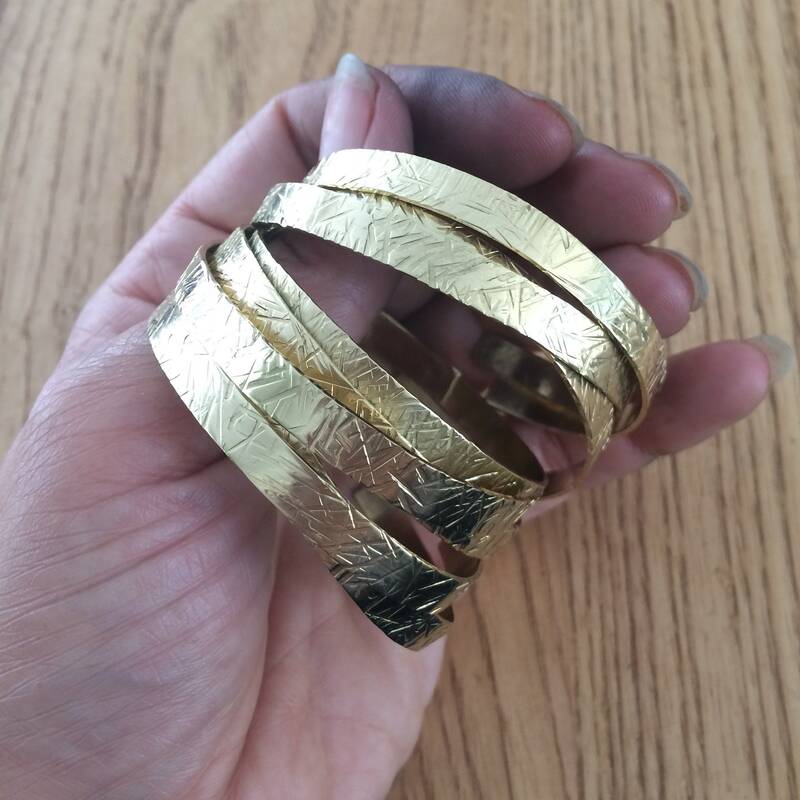 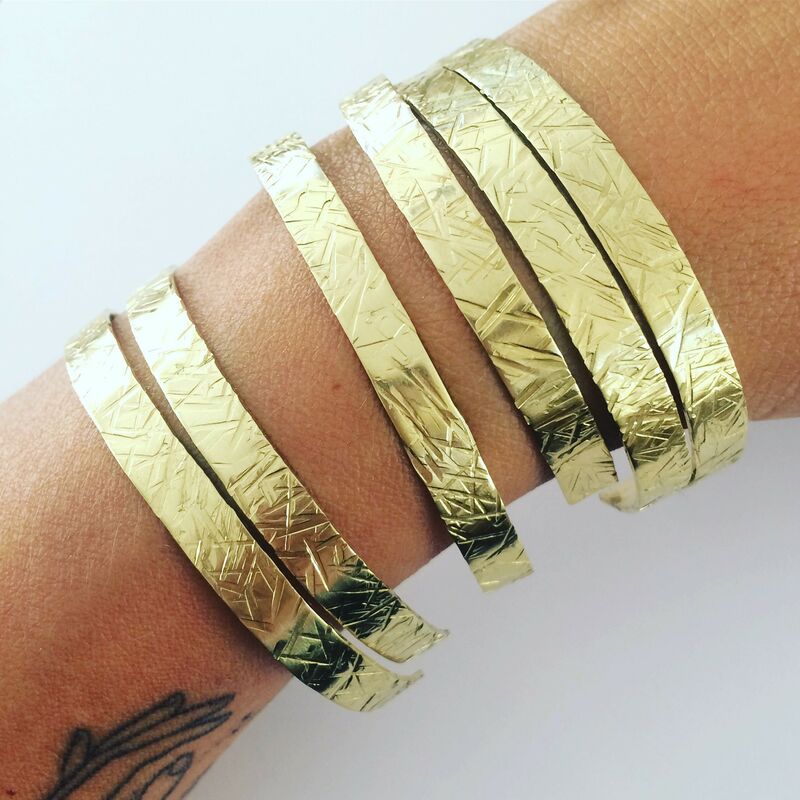 Gorgeous brass cuff, hand hammered with an intricate crosshatch texture. 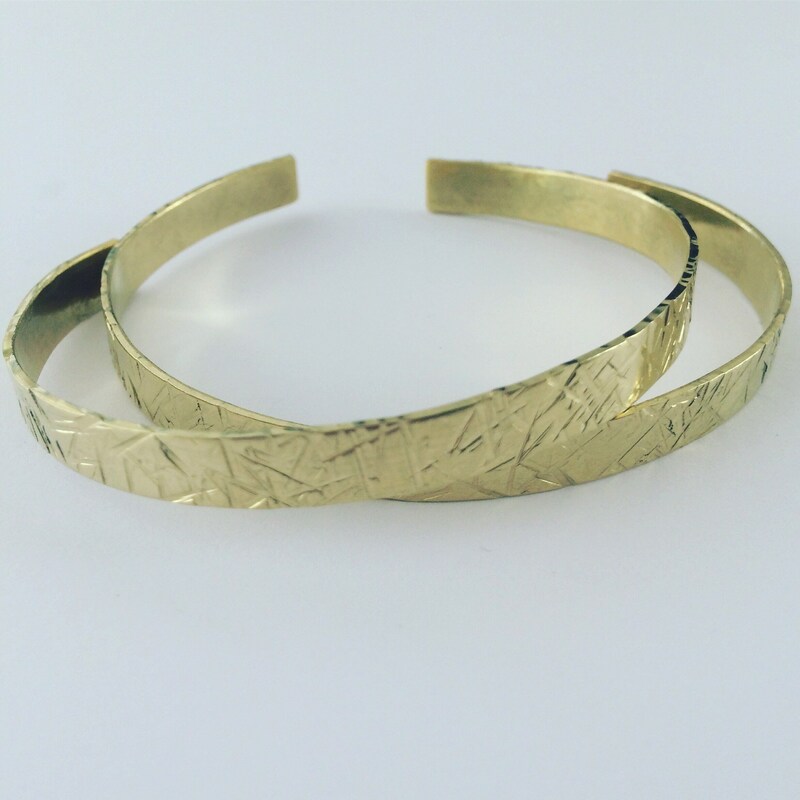 It is polished to a high, golden shine so it really catches the light. 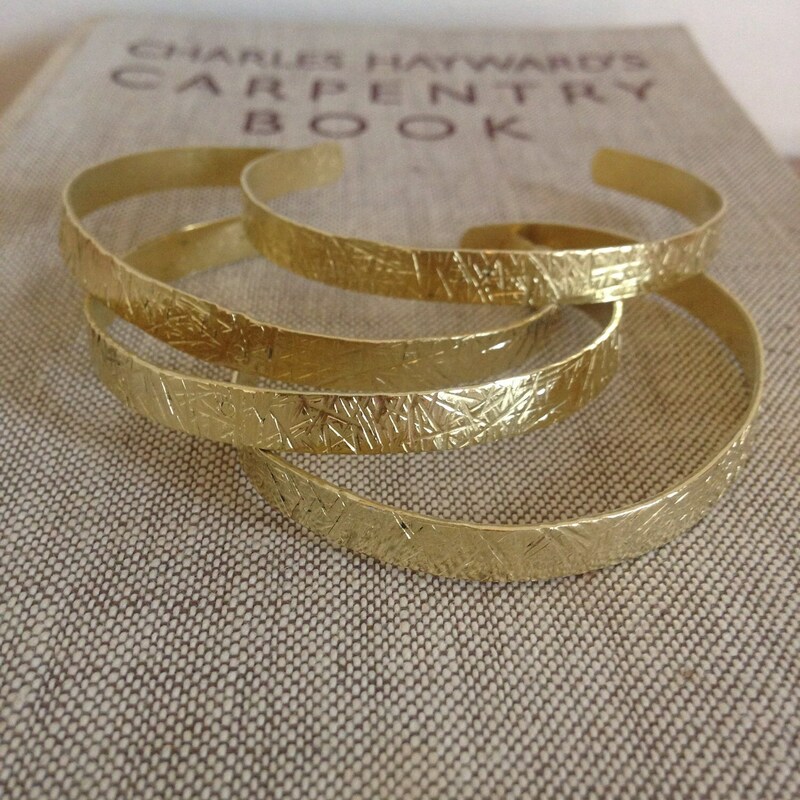 Looks classic on its own or fab piled on with lots of other bangles. 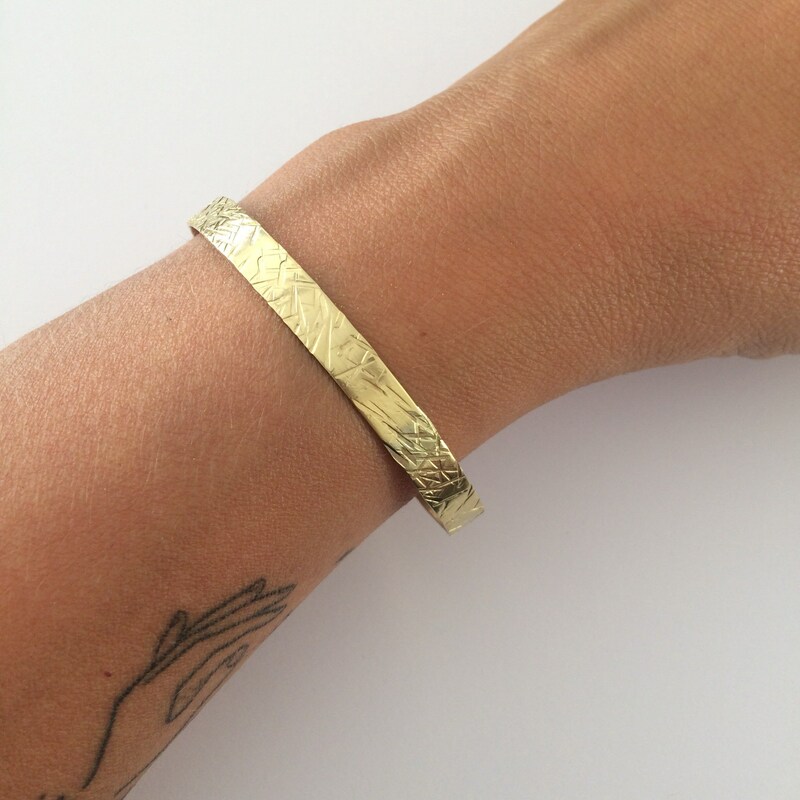 Each piece is individually hand made for each order so will differ slightly from those pictured. 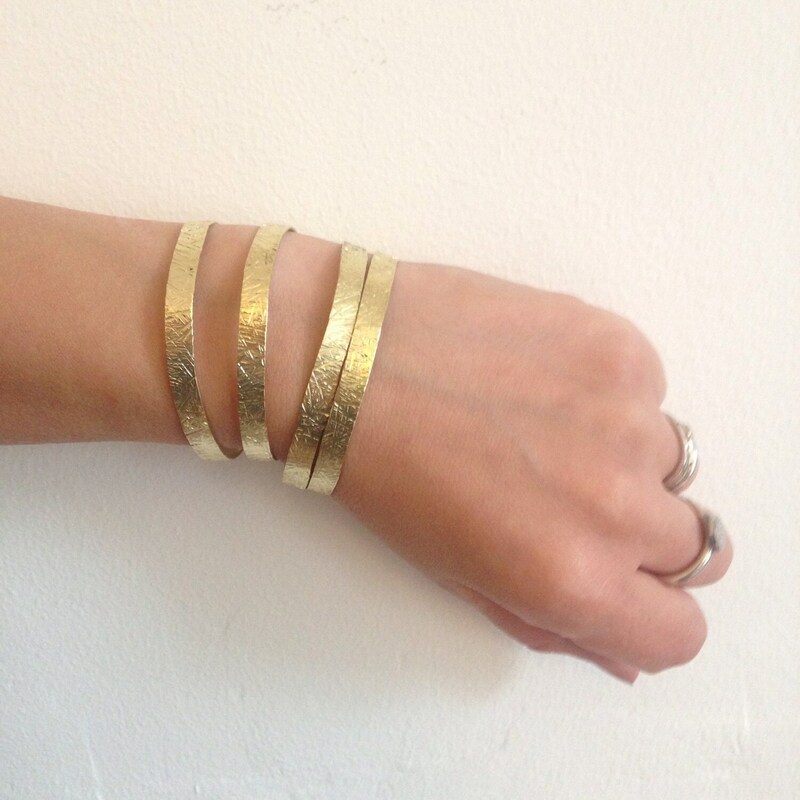 Please note: The price is for one cuff only. 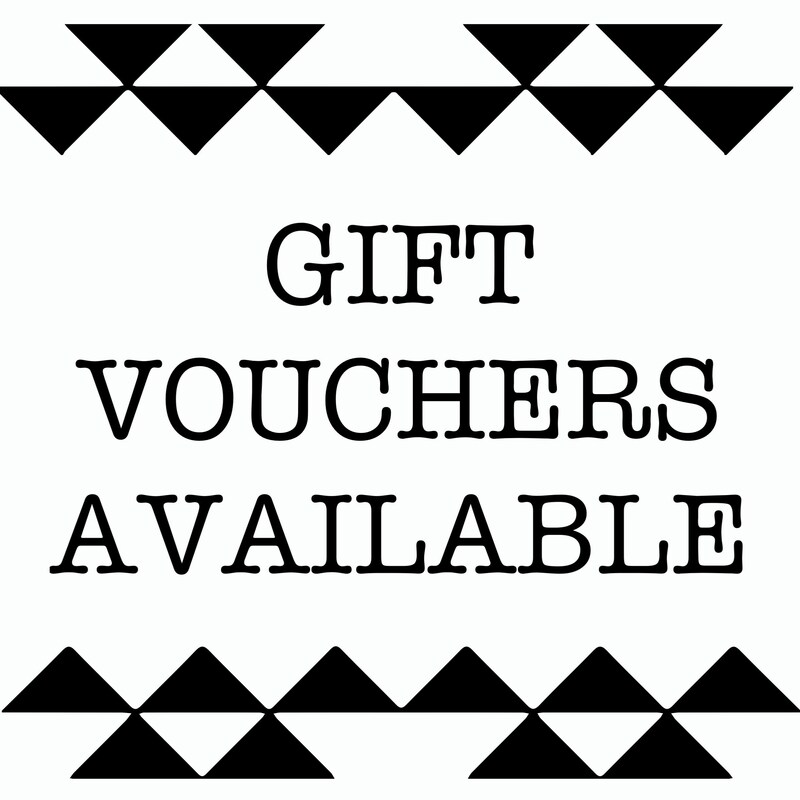 All purchases come beautifully wrapped in coloured tissue paper and in a padded envelope.